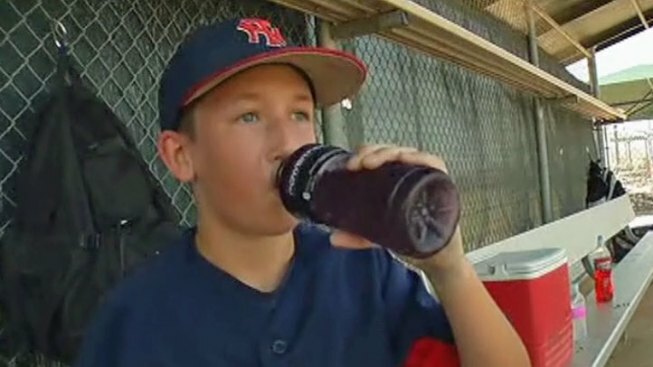 Triple-digit temperatures aren't keeping hundreds of youth baseball players from playing ball in Flower Mound. The American Amateur Youth Baseball Alliance World Series is back in Flower Mound just in time for the heat. Organizers make sure every dugout has coolers, water and ice. And families are allowed to bring their own coolers to Bakersfield Park. Most teams play one game per day or two at most. "It's a great format to address the heat because they're here for seven days spread out in course of a week," organizer Tracy Black said. The AAYBA World Series is one of the largest youth baseball tournaments in the country. More than 500 teams and 2,000 games play in the tournament, which is split into two weeks. During Week 1 of the tournament, more than 3,000 kids in four age groups will play more than 850 games. Organizers say that is about as many home games as the Texas Rangers play in 10 years. Flower Mound is one of three sites for this year's AAYBA World Series. The series is also played in Colorado and Missouri.